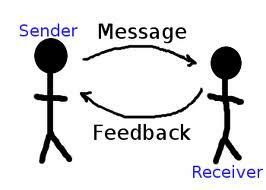 The way we communicate with others and with ourselves ultimately determines the quality of our lives.The first party who sends the information is called the sender and the second party who receives the information, decodes the information and accordingly responds is called the receiver or the recipient. Thus in simpler terms communication is simply a process where the sender sends the information to the receiver for him to respond. It is of utmost importance not only to communicate but also effectively communicate. Please throw some light on the first instance where Lisa was not suitably promoted. She did give her presentation, she did communicate, then why was she denied her promotion? She did not effectively communicate.